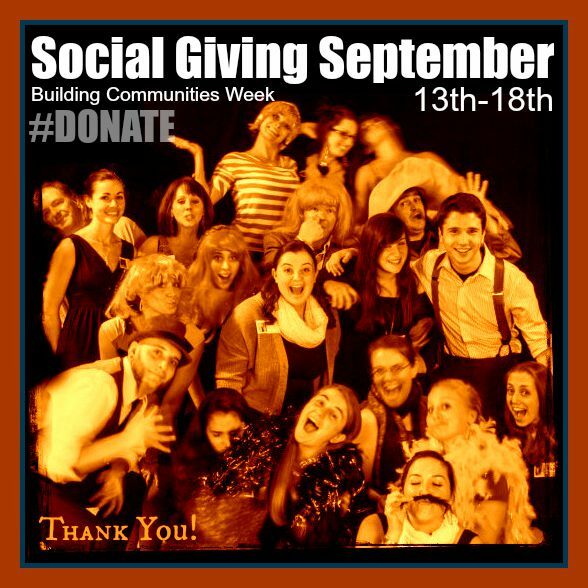 To kick off Part Three of or Misplaced/Displaced Season, Monkeyhouse will be participating in Social Giving September for Building Communities Week. From September 13th-18th, make a donation to Monkeyhouse and be entered to win tickets to our Misplaced/Displaced concert at the Multicultural Arts Center in October! We have made donations extra simple to celebrate #SGSeptember. Just find a #SGSeptember post on our Facebook or Twitter and comment "#donate" followed by the dollar amount you wish to donate. (For example: "#donate $25") GoodWorld will reach out to you directly to process your donation. It's that easy to help Monkeyhouse continue to build your community! EVERY donor will be entered to win tickets to Misplaced/Displaced at the Multicultural Arts Center in October! We have a goal of $100/day for the six day campaign. If we reach our goal each day, one donor (selected at random) will win a prize! Prizes include a package hand drawn postcards made by our very own Engagement Director, Nicole; hand knit hats made during our first year on tour, 15 years ago; and more! Anyone who donates $25 or higher will receive one of our brand new super secret t-shirts. The design will be revealed on September 13th! GoodWorld will donate an additional $25 for every donor who donates $1000 using #donate. GoodWorld will also be handing out prizes at random to donors, so you could win all sorts of stuff!